This is absolutely beautiful! Designed and made by Jean Wilkinson the silver stand has a round domed foot beneath 3 scrolling tendril like supports leading to the 3 shaped planished and veined leafs that form the bowl in which the salt sits. 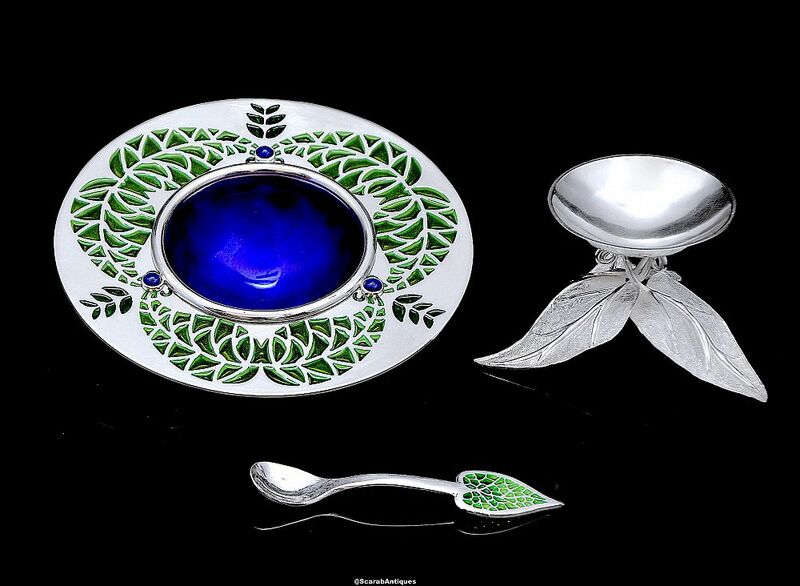 The bowl of the silver salt is in cobalt blue guilloche enamel and the broad silver rim has been pierced with 3 double leaves in pale green plique a jour enamel with 3 three tiered dark green plique a jour enamel leaves above 3 rubover set cabochon cut lapis lazuli. 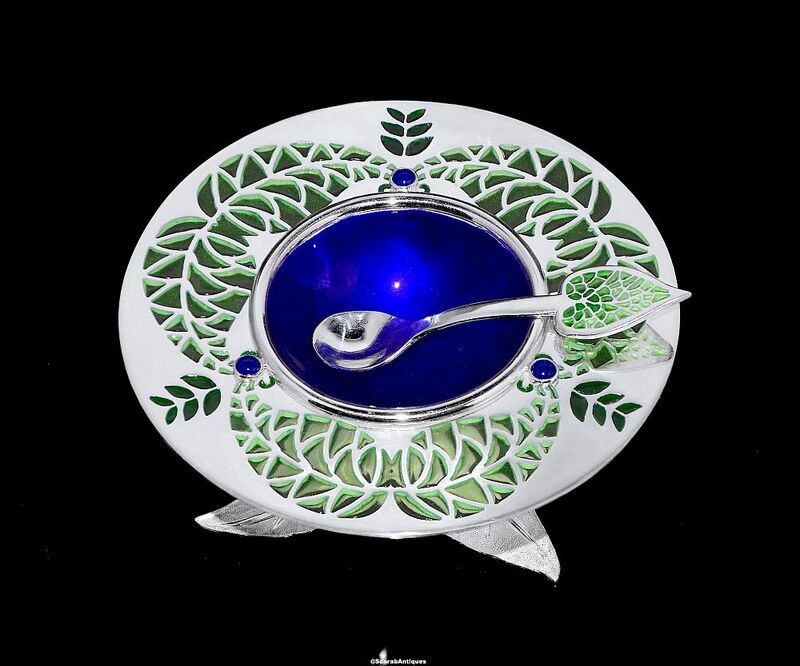 The silver spoon has a pale & dark green plique a jour enamel leaf finial and a round bowl. All three pieces have been hallmarked by the London Assay Office for silver and with Jean's "JW" sponsor's mark, the stand and spoon are hallmarked for 2018 and the salt for 2012.